If you have big arms that are not connected to giant shoulders and traps, then you need to focus on some serious trapezius training. Keep in mind that trapezius training is not for the faint of heart, but well developed traps are a must for that polished physique. The Trapezius muscle is one of the largest muscles on the back! Due to this, it would be a big mistake to not isolate the muscle during your weekly training routine. However, exercises are often dismissed as a seperate muscle to train – they’re often worked mainly in your shoulder workouts as they share similar movements. You need to know that traps assist in correct posture, in addition to adding overall roundness and thickness to a physique. So if you want that powerful aesthetic look, you don’t want to skip traps day! If you are looking for some killer moves to develop massive traps, then look no further because we are going to talk about five moves to building massive traps. Okay, so I am partial to the deadlift. To me, this is the exercise that is the cornerstone of any good weight development program. Whether you are training as a bodybuilder, power-lifter, or strongman, the deadlift is highly important to your training regimen. 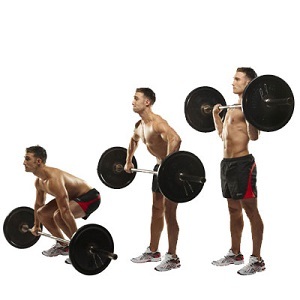 The deadlift assists with trap development mainly from the upper portion of the movement. 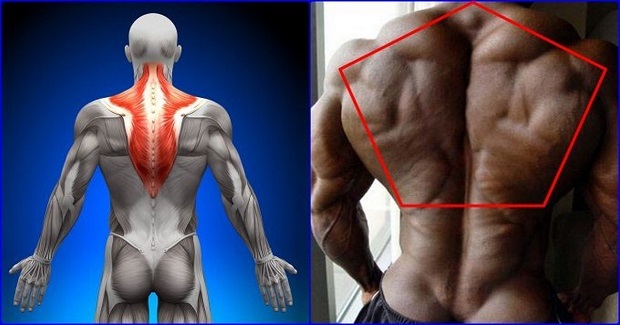 The trapezius muscles, along with other muscles in the back, contract to maintain a straight back. The traps also assist with keeping your chest up high during the pull. To perform a rack pull shrug, use a squat rack with the safety pins at knee height. 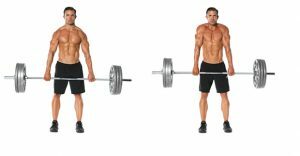 Perform the rack pull shrug with 120% of your deadlift one rep max. 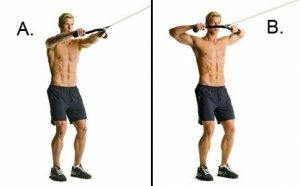 Pull the bar up to lock out the weight and then shrug it all in a single motion. The clean is one of the most underrated exercises for strength and power. During the initial lift of the clean, the lower traps are utilized to lift the weight. 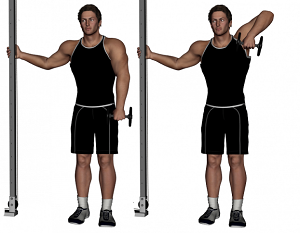 During the second portion of the lift, a shrugging motion working the upper traps. 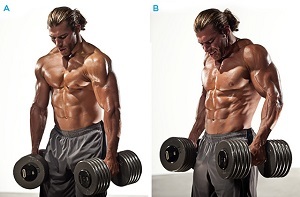 The aforementioned dumbbell shrugs are still tops for me, but that is not to say that I will not perform the barbell variation every chance I get. The barbell allows you to pile on the plates and have a serious trap workout. Take a dumbbell and flare out your elbows, which is where this movement starts. Pretend that someone is pulling your arm up as if it were on a string. Alternate arms and feel the burn.